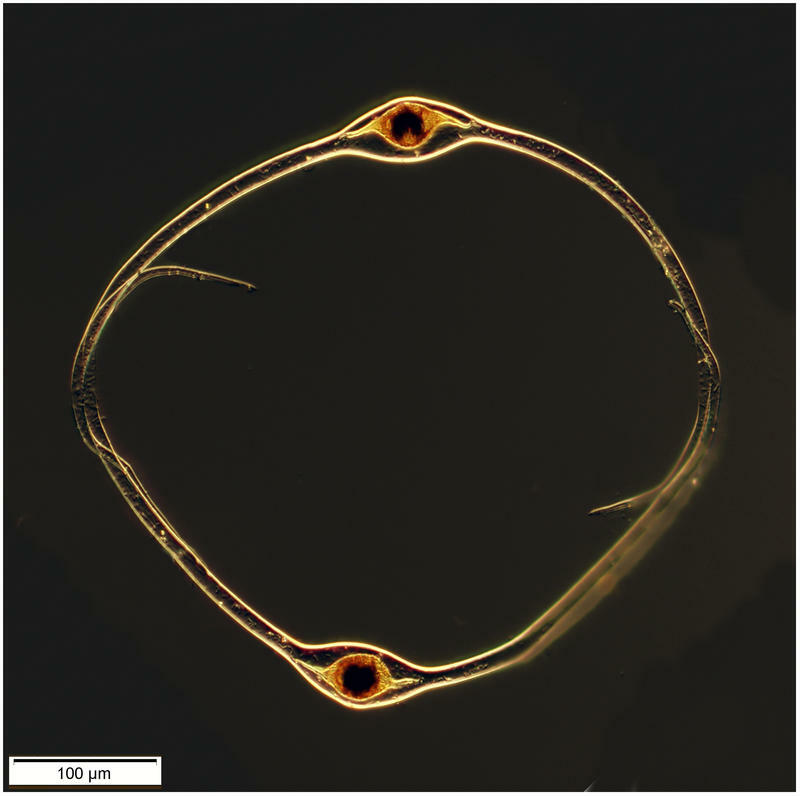 Pyrocystis hamulus var. semicirculus. It may well be life-history stage of another Pyrocystis species. Specimen from the South Pacific (Outpace SD-14, phyto net 28).